Apple products seem to be the new products that fraudsters go after in order to scam their customers. This time it was the iPad 2, in Canada. According to reports, at least 24 unlucky customers in Canada thought they were getting themselves a nice, new iPad 2 – they were wrong. Best Buy, Future Shop, Walmart, and London Drugs stores all thought they were selling iPad 2’s but the sealed boxes only contained a slab of modeling clay. 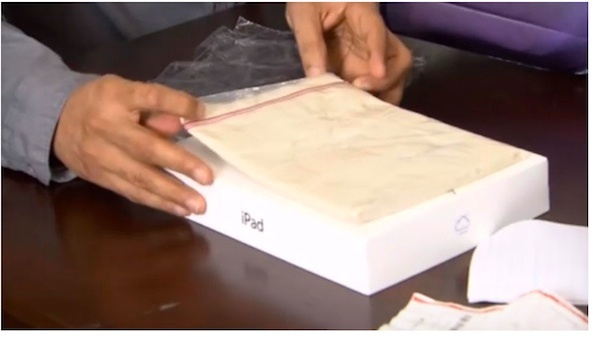 Somehow, some scammers are getting ahold of iPad 2’s, opening them, taking out the actual tablets, and replacing them with something heavy enough to avoid suspicion. Apparently, they decided that clay was the best option.